This Wednesday sees West Bromwich Albion visit the Liberty Stadium to face Swansea City in the Football League Championship. Swansea suffered their heaviest defeat of the season last weekend with a 4-1 defeat at home to league leaders Norwich City. Although this result still leaves Swansea in 10th place in the league, it will have been a big setback for the squad and they will at least be glad of another big home game so shortly after the Norwich game to hopefully put things right, especially with two tough away fixtures at Derby and Brentford to come. West Brom were victorious last time out with a 2-1 victory against Ipswich Town on Friday night. West Brom were of course relegated with Swansea at the end of last season, but have adjusted well to the Championship and are currently sitting in 5th place in the Championship as they seek an instant return to the top flight. Take a look at all of the historical results between the two clubs, since their first meeting at the Vetch Field in 1928, on our Swansea City v Swansea City v West Bromwich Albion Free Betting Tips and Predictions Head to Head Statistics page. Giving the Swans historical record against the Baggies, most of the UK’s betting sites will no doubt be offering a home win. 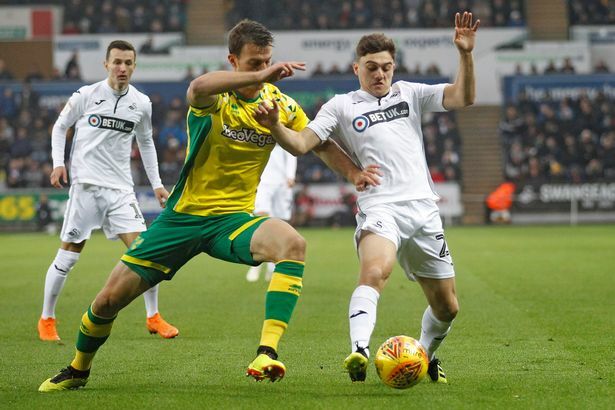 In our predictions for the last two games against Norwich and Bolton, we have highlighted how Swansea are far and away at the top of the fair play table, and how there is good value in betting on the opposition to receive the first yellow card in our games at present. The tip has been a success in the last two games and at the risk of repeating myself, I think there is excellent value again in a West Brom player picking up the first yellow card in Wednesday’s game. Swansea have received 14 yellow cards so far this season whilst West Brom have a total of 32 yellow cards to their name and the 4/5 (1.80) on offer with SkyBet is well worth backing. Swansea’s 4-1 defeat on Saturday will not give their fans much optimism for the West Brom game but the Championship is a funny league and this sort of result can occur from time to time. Last month West Brom had an identical result in losing 4-1 at home to Derby County and yet just over a couple of weeks later West Brom beat Leeds United 4-1 to show this league is anything but predictable. As such, I do think there is value in backing Swansea to win the game which is available at 183/100 (2.83) with MarathonBet. West Brom have not kept a clean sheet in the last ten games and their poor defending could be exposed again by a Swansea team whose defensive record and home form had been excellent before Saturday’s heavy defeat. For First Goalscorer backers I would recommend Dan James to be the value bet. Dan is currently joint top of Swansea players in the shots per game data, with Bersant Celina the other player. However, the key difference is 92% of Dan James’s shots are inside the penalty area, whereas only 41% of Celina’s are inside the box. Dan is also taking up more central positions during games and got his first league goal on the weekend, which I hope will be the first of many. Dan is available at 9/1 for the First Goalscorer selection but is also available at 4/1 (5.00) with BetUK to score at any time if punters prefer this option. West Brom to receive the first booking of the game at 4/5 (1.80) with SkyBet. Swansea to win at 183/100 (2.83) with MarathonBet. Dan James to be First Goalscorer at 9/1 (10.00) with BoyleSports, Bet365, BetUK, 10Bet and SportPesa. Dan James to be Anytime Goalscorer at 4/1 (5.00) with BetUK. Bet £10 on Swansea City v West Bromwich Albion or other football matches and get £30 back by opening a new account at William Hill. You MUST enter the promotional code ‘C30’ when signing up as a new customer to claim this offer. Terms and Conditions apply.